The manufacturing of strapping tapes whether made from steel or PET is done with very fast and efficient strap tape lines. In many extrusion processes a long rectangular viscose sponge is placed at the end of line. 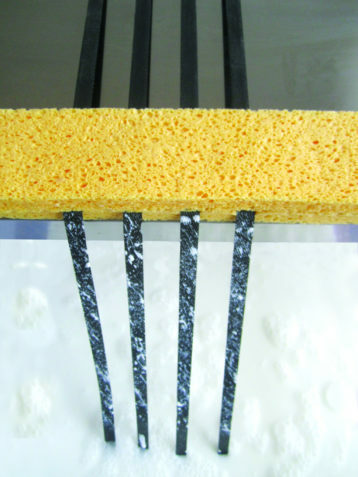 The functions of this sponge are different depending on the specific application. 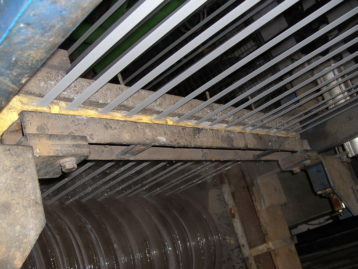 At the end of a steel strapping line it wipes and absorbs liquid to produce a clean product. 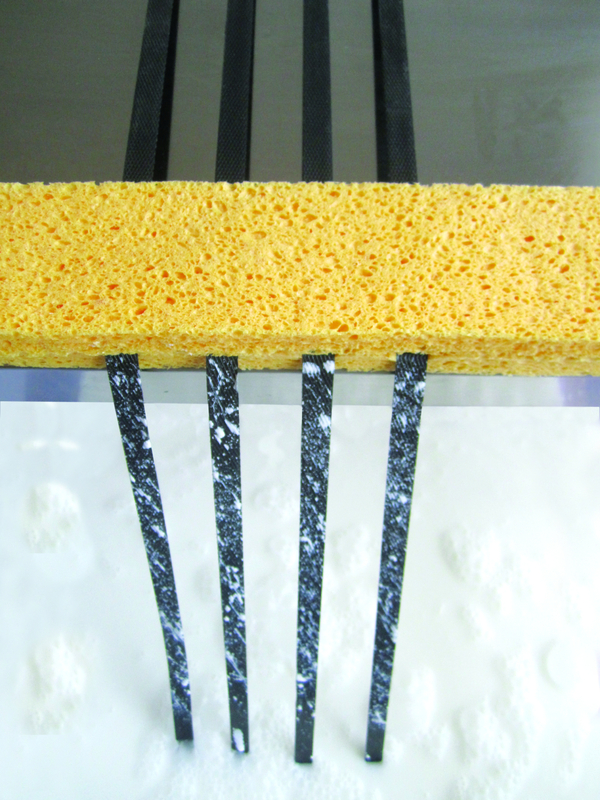 The function of the sponge at the end of a PET strapping line is different. A screw technology processes flakes of (recycled) PET so they melt which allows the strapping tape to expand. Heat is needed for this process therefore the product has to be cooled down after. This is achieved adding water or cooling liquids later absorbed/wiped by the viscose sponge at the end of the strapping line.